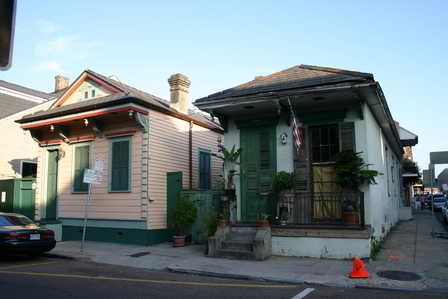 New Orleans has a cocktail heritage dating back to 1793 when John B. Schiller created the Sazerac, followed by Henry C. Ramos who came up with the Ramos Gin Fizz here in 1888. Looking at the lurid cocktails offered along today's Bourbon Street it's hard to believe, but Nola's bartenders continue in the tradition of Schiller and Ramos with the city’s top bars ranking among the world's best. So what bars should you hit? Well, before I come to that I should tell you a little about drinking in the Big Easy and its liberal laws; at least compared to the rest of the States. 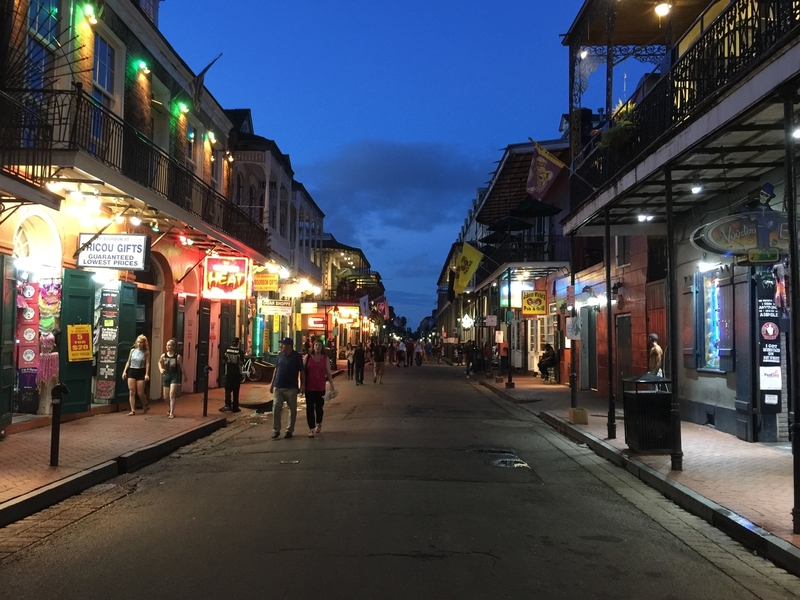 Bars and clubs are permitted to open around the clock and New Orleans is one of a few American cities where alcohol can legally be consumed on the street, albeit from a plastic container (don't rush your drink - just ask for a "take out" to put it in). Sorry, kids, but like the rest of the US, the legal drinking age is 21 and while the police here are surprisingly tolerant, break a glass or bottle in the street and you are likely to be whisked off to a cell. 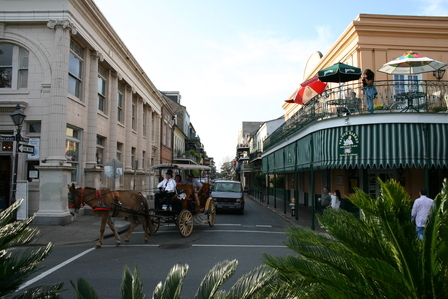 As far as most tourists are concerned, nightlife in New Orleans centres around the French Quarter, particularly Bourbon Street. This is debauched at the best of times with bar after bar offering live jazz and blues bands, cheap beer and lurid cocktails. Others offer strip shows and more! 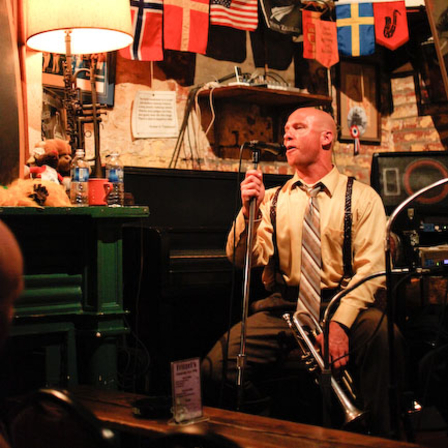 New Orleans claims jazz as its own creation and as you walk through the city music is all around, pouring out of the bars and from the instruments of the numerous street buskers. 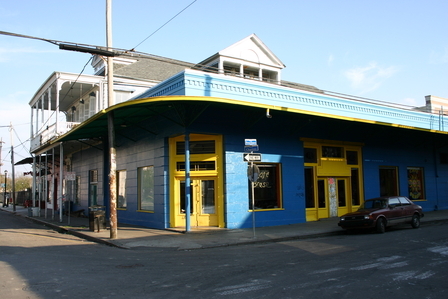 Frenchmen Street and the surrounding area is a mecca for locals and music loving tourists and here you'll find 'd.b.a.' 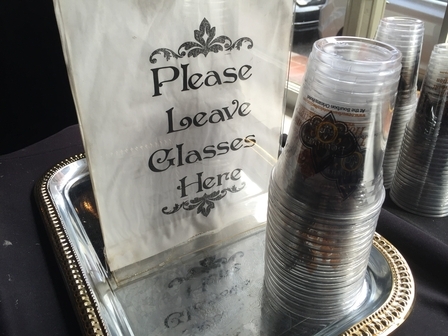 and a number of little bars noted for the musicians they attract. 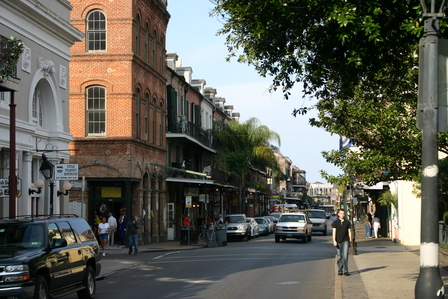 Canal Street divides the French Quarter from the Central Business District and the quickly developing Warehouse District, where many new upscale restaurants and bars have opened. 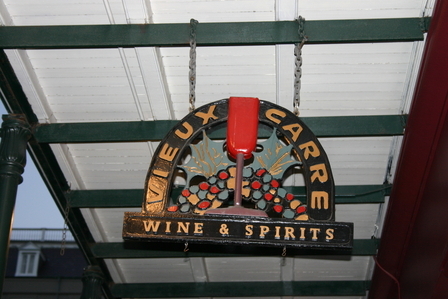 However, in our experience many of the best bars lie well away from the touristy French Quarter, a cab ride away in the residential Garden District, Midtown and Uptown areas. As usual we have sought out and reviewed the bars we think will appeal to the most discerning of drinkers, but this historic city also boasts plenty of vintage bars and we've included those we enjoyed. 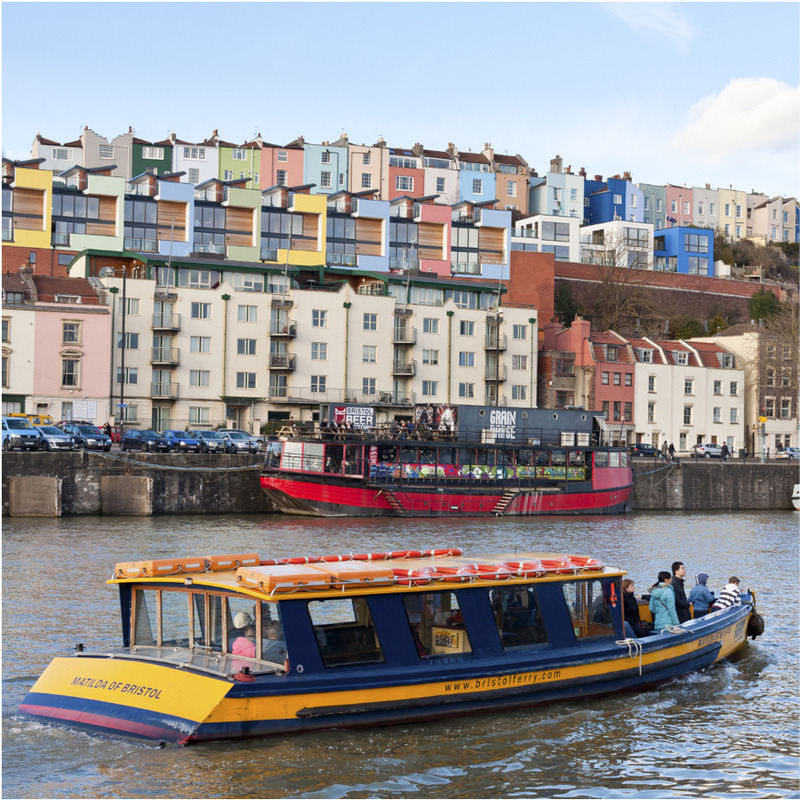 Some you'll want to visit from a purely sightseeing perspective, some for the jazz and others because, although their drinks are basic and the décor in need of refurbishment, they have atmosphere and character. To quote Dale DeGroff, "they are bars of substance." A revival of one of New Orleans’ most famous bars, this is slatted to open late 2018 with bartenders Chris Hannah and Nick Detrich behind the stick. 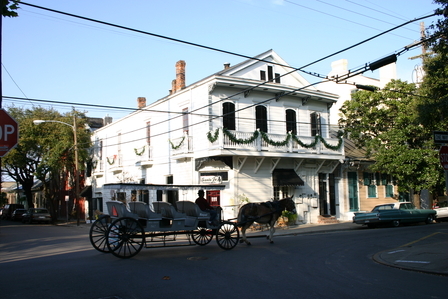 The original Jewel Of The South was owned by Joseph Santini and is said to have been the first to serve gumbo and the birthplace of the Brandy Crusta. Kingfish sits in the heart of the French Quarter but offers a bar experience that's a cut above most other bars in the neighbourhood - it's also a good spot to eat. 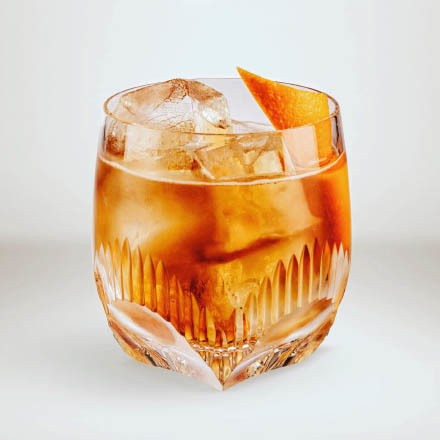 Be sure to try the Saint Peter's cocktail. 1800 Magazine Street, Lower Garden District, New Orleans. Idling round a bend in the Mississippi river, New Orleans has a worldwide reputation for jazz, partying and cocktails, not to mention its louche heritage of hookers, playboys, plantations and good-time girls. 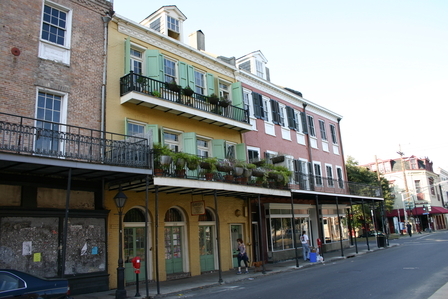 Sadly, since Hurricane Katrina (29-Aug-05) New Orleans has also been infamous for death and destruction, but mercifully the French Quarter and other historic areas escaped the worst of the winds and floods and New Orleans has recovered its previous America's party city status. Even outside the hurricane season, the weather in New Orleans is tough: summers are hot, muggy and thunderous, and winters are wet in the extreme. 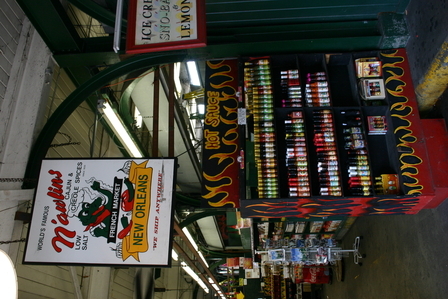 But the Big Easy has a lot to offer. 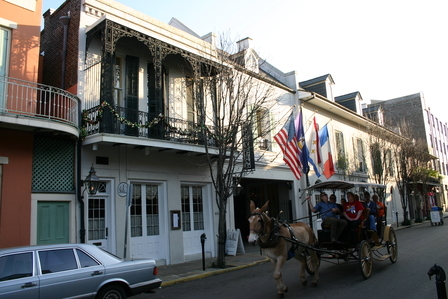 From architecture, antique stores, Cajun cuisine and jazz clubs to riverboats, street cars and cocktail bars, its tree-lined avenues host a uniquely mixed and vibrant culture. A word about the Po-Boys. These aren't what you fear they might be but actually a type of sandwich. 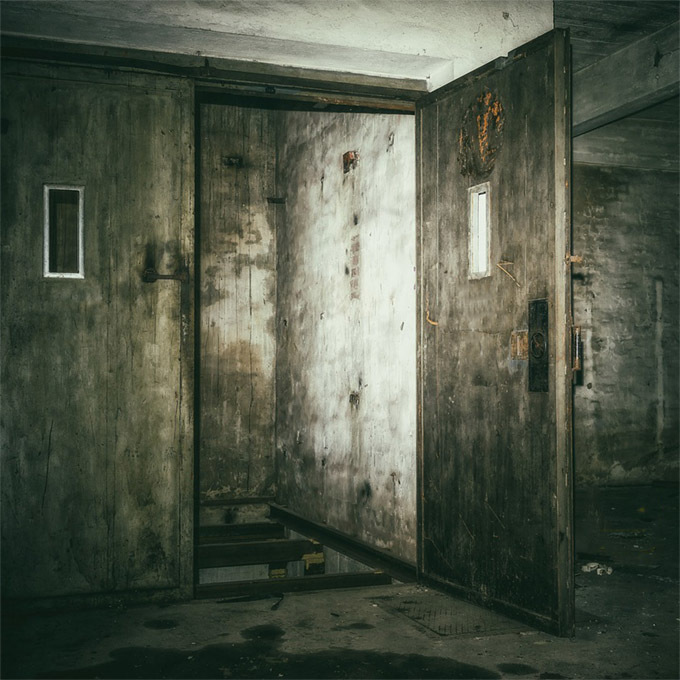 Originally known as 'Poor Boys', they were served to railroad workers as a cheap, filling meal and comprise a third of a French loaf split open and stuffed with your choice of meat or seafood. 'Dressed' Po-Boys come with shredded lettuce, tomato, mayonnaise and hot sauce. Also try Shrimp and Grits - shrimp served with the traditional Southern sloppy mix of ground hominy grain. My personal favourite local delicacy is gumbo, a spicy meat or shellfish stew based on a strong stock flavoured with the vegetable 'holy trinity' of celery, bell peppers and onion. 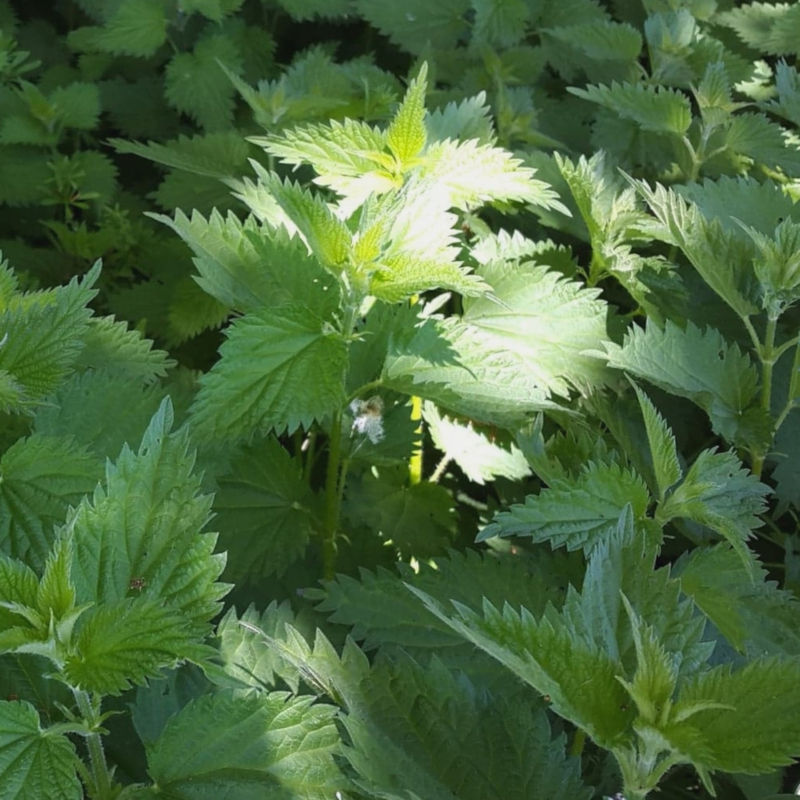 Gumbo takes its name from the African plant 'okingumbo' which we know as okra and traditionally this is also a key ingredient. Tourism in New Orleans spikes during the three biggest festivals - Carnival, Jazz Fest and Tales of the Cocktail. Carnival begins in early February and peaks in the fortnight before Mardi Gras proper - the famous 'Fat Tuesday' (Shrove Tuesday), when marching bands, floats and exhibitionists celebrate the beginning of Lent. Jazz Fest, the international Jazz Festival, runs for ten days during the last week of April and the first week of May. 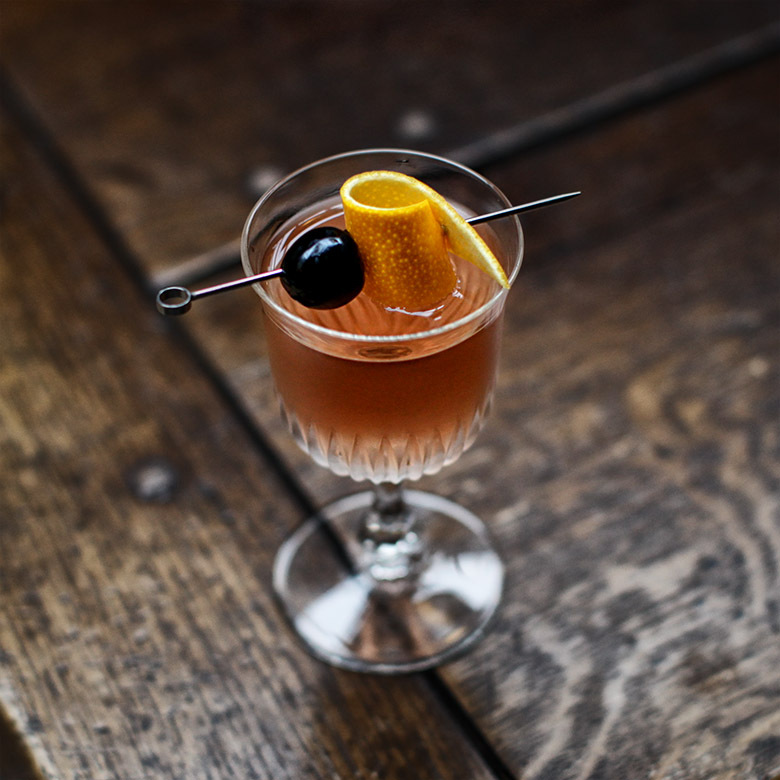 Tales of the Cocktail is an annual event held in mid-July to celebrate New Orleans' impressive cocktail heritage and indeed pretty much all things cocktail and booze related. 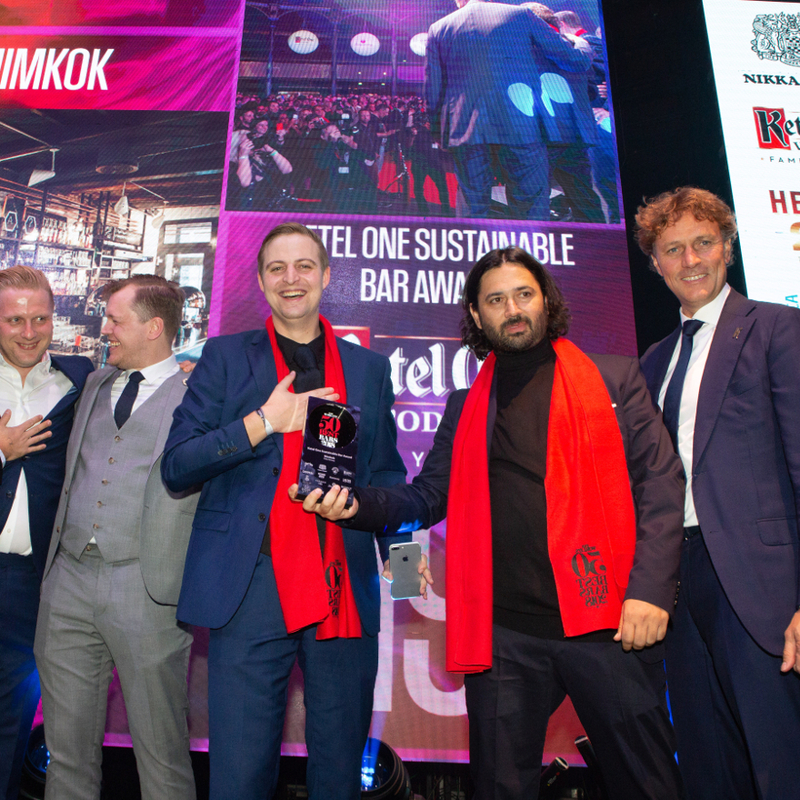 As it may sound, there's a fair bit of drinking involved but this is an event for booze geeks with the majority of the events being educational seminars rather than parties.